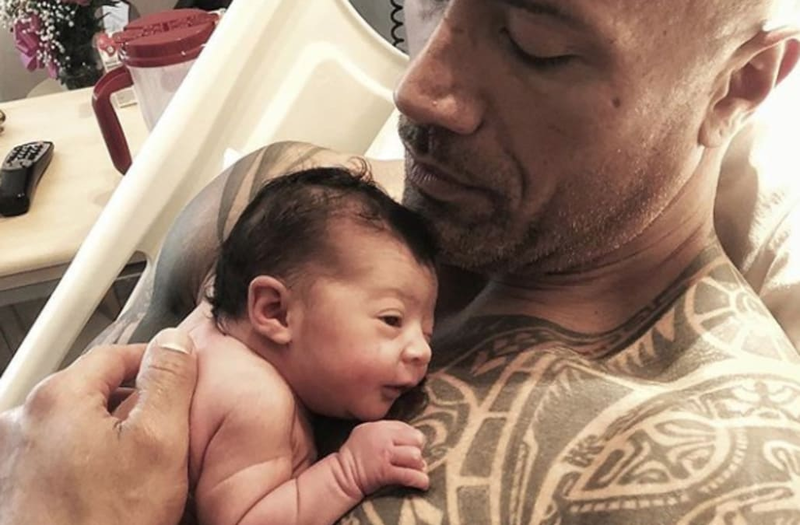 Dwayne "The Rock" Johnson and his longtime girlfriend, Lauren Hashian, welcomed their second daughter, "another strong girl," on Monday. Johnson shared on Instagram that Tiana Gia Johnson "came into this world like a force of nature," and he watched the birth from start to finish: "If you really want to understand the single most powerful and primal moment life will ever offer -- watch your child being born," he wrote. "It's a life changer and the respect and admiration you have for a woman will forever be boundless." "Like I did when your two older sisters Simone Alexandra and Jasmine Lia were born, you have my word, I’ll love, protect, guide and make ya laugh for the rest of my life," he continued. "Your crazy dad has many responsibilities and wears many hats in this big ol’ world, but being your dad will always be the one I’m most proud to wear." He also added via hashtag, "Blessed and Grateful Man" as well as "I'm in TROUBLE." In addition to his other daughter with Lauren, 2-year-old Jasmine, The Rock shares 16-year-old Simone with his ex-wife.